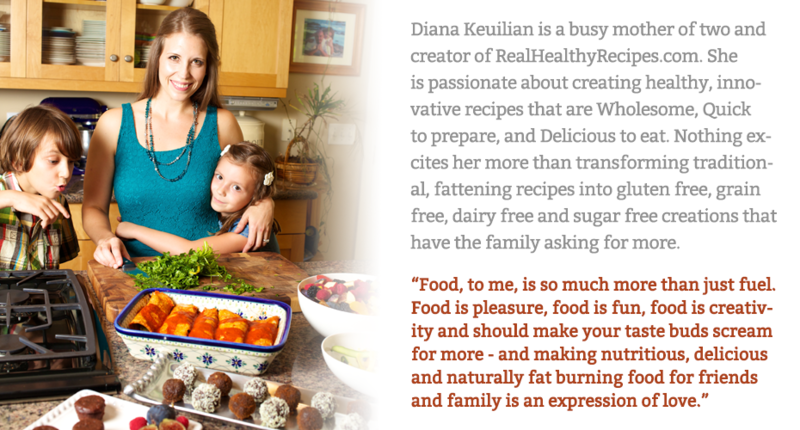 From Diana Keuilian; creator of Family Friendly Fat Burning Meals. Odds are you’ve come to the end of your rope. But first, let me reassure you, I know what it’s like to want to cook healthy foods for yourself and your family. You want to feed your family wholesome foods that you can feel good about, and that helps them naturally burn fat and lose weight without depriving them of variety, flavor, and taste. But most of all you want recipes and meals that are easy to prepare, because you’re busy and time’s not on your side. 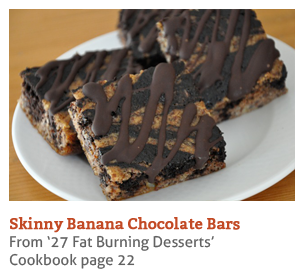 Finding fat burning recipes and family friendly meal plans that everyone will like can often be a challenge. Maybe you’re a busy mom, like me, who doesn’t have hours to spend in the kitchen cooking up food and preparing your family’s meals. Or maybe you’re busy juggling a job, family, and trying to keep everyone eating healthy. You’re looking for something to take the hassle out of mealtime – something quick, fresh, delicious and something that your family will actually like for a change. I’m so glad that you found me, because, like you, I was once on the hunt for wholesome, healthy, fat burning meals for my family. And when I couldn’t find what I was looking for… I set out to create it myself – and now I want to share my best and most popular recipes, meals, and snacks with you and your family. I’m so happy to be here with you as you begin your family’s journey to a diet filled with real, wholesome foods that are gluten free, diary free, and refined sugar free. But that doesn’t mean they’re flavor free. 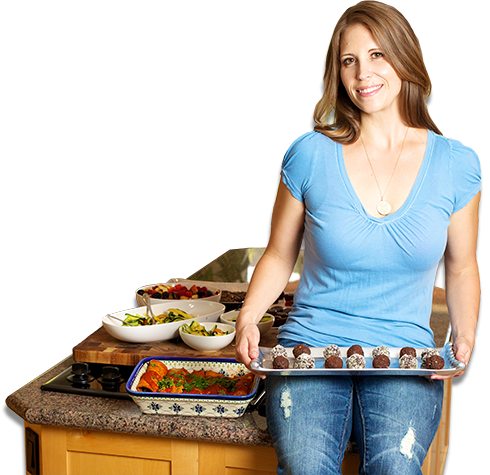 On the contrary… you’ll discover the recipes and meal plans I have for you here are undoubtedly the best tasting meals you’ve ever had. 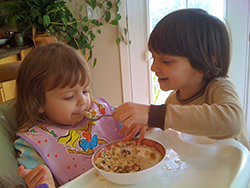 But the REAL proof will be your family and how much they’ll love every tasty, savory, and delicious bite they take – and only YOU will know that the meals you’re feeding your family are wholesome, “good for you”, fat burning foods. With all of the processing, denaturing, refining, and genetic engineering of our foods it’s no wonder why American families are getting sick, bloated, fat, and lacking energy.